People speak volumes with their hands. If someone shakes my hand with such vigor and force that my knuckles turn white, I immediately recognize this as an awareness issue. Either the person is so nervous that they cannot control the force of adrenal flowing through their fingertips, or they are so over-confident that I wonder if there is room in their ego to help me with my business needs. Yes, hands are important. It’s part of that two-minute introduction phase where judgments are made about others. I want to know if someone is aware of my needs. The handshake is my first test. 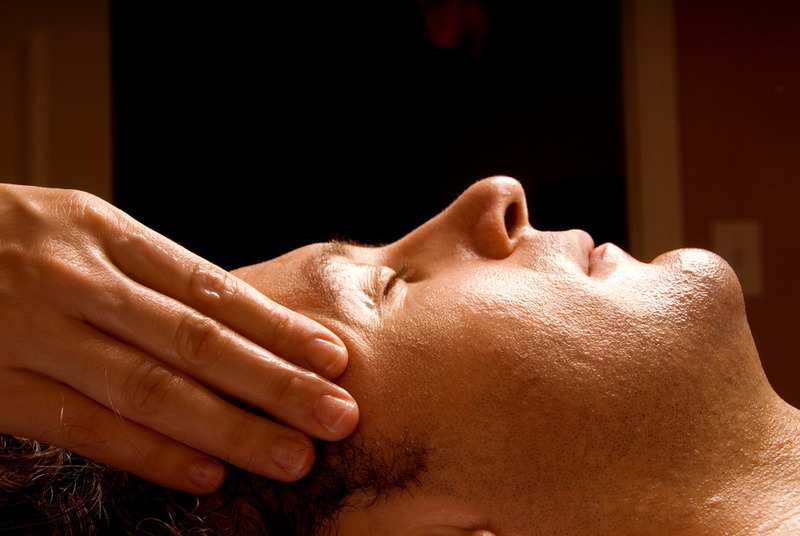 Massage therapists are masters with their hands–at least the really good ones are masters. I think everyone should work to be good with his or her hands. As a dentist, I have a necessity to be good with my hands. Many people think dentists’ hand skills come from the end of their drill bit, but really, I believe our hand skills come from our ability to touch people. Certainly, a good set of technical hands is desired, and at the same time, so is a gentle set of hands–gentle enough to handle the most fragile patient. How do we get good at touching people? How does anyone get good at touching people? Be touched. This is harder than it sounds. Some people really do not like to be touched. Sadly, some people were touched inappropriately as they grew up. This instability with the human touch can be damaging and difficult for a lifetime. For those people struggling with being touched, counseling may help with the difficulties. 1. We learn how to touch people with the right amount of pressure. Massage therapists always ask about the pressure being applied. They want to know what we expect. They offer a great communication script for us to learn. “How is that pressure?” “Are you doing o.k. with that amount of pressure?” It’s a tremendous reminder to ask others how we are doing. For dentists, we often get in completion mode. Dentists can be task-oriented. We have to remember to consider the journey in the process of patient care. How we touch people throughout the appointment is vital to a good patient experience. Team Members must also learn this important talent. During training, new dental assistants often hesitate to touch a patient because they do not want to hurt someone. The pressure is too light. I have watched other assistants nearly choke patients with saliva ejectors. The pressure is too hard. Massage therapists learn to apply just the right amount of pressure according to each client’s desires. This takes practice. Dental assistants who have experienced massage therapy tend to understand the middle path better and hasten along the learning curve. 2. We learn to become one with our bodies. Let’s be real–we totally take our bodies for granted. And, then when one little thing does not function properly, we get all bent out of shape. It doesn’t matter that, for the last five years, we neglected our bodies’ needs, even down to basic things like water and proper nutrition. Massage therapy forces us to reconnect with our bodies. The massage therapist points out sore spots (usually after we feel them ourselves) and asks about recent injuries or chronic postures. We realize our bodies are like machines that need to be maintained. In dentistry, despite the best ergonomics, our bodies take a beating. There are days when my neck and back feel like someone put me into a perpetual Tilt-A-Whirl. Recognizing our limitations and our need for conditioning becomes even more obvious after working with a massage therapist. 3. We learn to accept our bodies. Not only do we take our bodies for granted, but we also chastise, criticize, and ignore parts of our bodies. We are ever critical of the slightest flaws in our bodies. Massage therapists take us for where we are and without judgment. My massage therapist reminds me that we are all different and we all come with different attributes. If I am having an ache or congested area, she offers advice on how to stretch certain muscles; she questions me about my overall health and relates the body and mind together for greater self-awareness. I learn that we all have aches or problems from time-to-time when we encounter greater stress in our lives. The faster I accept my less than optimal results from a poorly cared for body, the quicker my body returns to health. Massage therapy forces me to accept my body for what it is because I want to absorb the benefits of receiving a full body massage; I want to be healthy. I had to learn to get past my self-consciousness so that someone else could place their hands on me in a healing way. When we get comfortable with our bodies, our patients can be more at ease with their bodies when they come into our offices. Many patients worry about what we will think of the shape or condition of their mouths. Massage therapists teach us to be accepting of our bodies and others’ bodies. When we accept ourselves, it becomes easier to accept others. Most people appreciate not being judged. 4. We learn to relax. Tension and stress contribute to poor health. Massage therapy, once trusted, is relaxing. It provides a time for complete and total disconnection from other people and other things. Our minds must stop occasionally. 5. We learn how to make a peaceful environment. Massage therapists move with intention and purpose in a tranquil setting. They are quiet and seamless. If I think back to my early dental days, I would have been considered a “clinker.” A clinker is a dentist whom clinks teeth accidentally as he or she moves through the oral cavity. The dental mirror bumps a tooth and then another tooth while an exam is being performed. It is unnerving as a patient. It seems sloppy and without focus or intention. While getting a massage, I think about the on-purpose movement of my masseuse’s hands. She keeps connected with me at almost all times. This reassurance of her steadiness leads to a much-trusted relationship. Dentists are in need of this type of touching, trusting relationships with patients as well. Massage therapists are great teachers on the topic of touch. We can learn much from getting a massage. It’s good for our health, and it’s good for learning touching techniques. If you struggle to touch patients, or anyone, perhaps a massage is needed. Try out a few different ones, and learn to replicate the touch techniques and communication phrases your favorite massage therapists use. Communication with our hands is basic, almost primal, to our human experience. What we do with our hands is just as important as what we say with our mouths when it comes to making connections with our clients and patients. Dr. Lisa Knowles studied communication at Alma College before becoming a dentist. Her attuned sense of touch and human experiences allowed her to build “the million dollar practice” before deciding to launch her own consulting business, IntentionalDental Consulting. She now shares her trade secrets and best practices with dentists wanting to provide optimal patient care. Contact Dr. Knowles for speaking engagements or for consulting at IntentionalDental@gmail.com. Visit her website at IntentionalDental.com.